About a year ago, a few of the larger virtualization software vendors, such as VMware and CA Technologies, started campaigning against a phenomena that they called virtual stall. In their estimation, most large organizations didn't go far enough in their virtualization plans. Many organizations had enjoyed the benefits virtualization brought, such as the greater efficiency that came about from consolidating their servers, and the increased flexibility that came from being able to move their virtualized workloads around from one server to the next. But many of these early adopters had ceased their efforts after virtualizing the low-hanging fruit, those easy-to-virtualize applications that only used a small portion of their allotted capacity. Industry experts estimated that many efforts stalled out after about 20% to 40% of an organization's applications were virtualized. Many balked at virtualizing more critical components, such as e-mail servers or transactional databases, even as VMware and others have presented evidence that such applications could run just as speedily and safely in virtualized environments. Gartner estimates that, by next year, more than half of all enterprise workloads will be virtualized. Were VMware and CA just worried about their own revenue stall? Or can the majority of all applications in an enterprise be virtualized with no degradation in performance? Put another way, what with all the benefits of virtualization, are there valid reasons to continue to run apps natively on some specific hardware? The truth is most applications can now run fine in a virtualized infrastructure, noted David K. Johnson, a senior analyst for Forrester Research. Virtualization vendors have gone a long way toward solving some of the thornier performance issues that hampered earlier installations. That said, not all applications would benefit by being virtualized. "If the application really dominates one resource, like the network I/O or disk I/O, it may not be a good candidate for a virtualized environment," Johnson says. In these cases, there is no point in virtualizing the application because it will dominate the server's resources anyway. A similar case can be made for desktop virtualization — namely that it can be done technically, though its value would be limited to certain circumstances. With Virtual Desktop Interface (VDI), the desktop has been virtualized in a server environment, and delivered to the users over the network. Early adoption of VDI was hampered by the edge cases, where users might have required video or audio connections, or could only access desktops by way of a WAN. 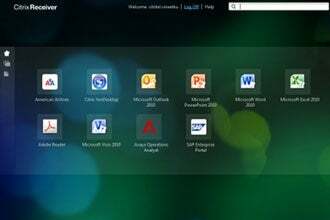 With the release of the latest VDI software from VMware and Citrix, both companies have gone a long way in offering more full desktop-like features and performance, such as the ability to personalize virtual desktops, and the ability to stream desktops over a WAN. Still, issues remain. Microsoft, for instance, has warned that VDI can be just as expensive as non-virtualized environments, and would be best suited for select use cases, such as when employees may work in multiple locations. Another issue is that virtual environments can't offer the ability for desktop programs to fully intermesh. "When a virtual application is installed, it doesn't have the opportunity to put things into other programs," Johnson says. For example, in a virtualized environment, Adobe Acrobat won't be able to install print-to-PDF capability in Microsoft Outlook. "Those integration points are gone," Johnson says. Not everyone would need such integration points, so in many cases VDI would be fine, and indeed offers many advantages for the enterprise, such as a more secure and orderly desktop management environment for administrators. Another issue that can slow deployment is the fact that software licensing audits are harder to execute in a virtual environment. The virtual machine is, in effect an inscrutable black box for most software inventory tools (though VMware has recently added some APIs into its virtual machines that will help outside programs inventory the contents of virtual machines). And, even with these benefits, it still might make sense to run some large applications directly on PCs. "For really big applications [like CAD programs], it makes sense to install them natively," Johnson says. "Typically people are using AutoCAD as their primary workstation, so there's no good reason to install that virtually." Those fighting virtual stall can rejoice, however. In years past, IT managers might have wondered what resources could be virtualized; These days many are just as likely to ask what applications need to run natively. Virtualization is becoming the default deployment model for an increasing number of enterprises, Johnson says.